Clarinetist Benjamin Mitchell is the founder and president of Kaleidoscope, a conductorless orchestra comprised of some of the leading musicians in Los Angeles. Additionally, he has appeared as a regular substitute with the Houston Symphony and was invited for multiple summers to the Aspen Music Festival and Lucerne Festival Academy. At Lucerne, Benjamin performed as principal clarinet under the direction of Pierre Boulez, with extensive coaching from members of the Ensemble Intercontemporain. Through his work with Kaleidoscope, Benjamin has received outstanding reviews from the LA Times, Huffington Post, and was recently honored by Musical America as one of the most innovative people in classical music. He has also developed community partnerships for many free performances at schools, hospitals, homeless shelters, and other underserved parts of Los Angeles. A strong interest in contemporary music has led Benjamin to work closely with composers including Thomas Adès, Krists Auznieks, George Benjamin, Pierre Boulez, Elliot Carter, Donald Crockett, Viet Cuong, Lukas Foss, Saad Haddad, Will Healy, Ted Hearne, David Hertzberg, Yuan-Chen Li, Paul Moravec, Charles Peck, Matthias Pintscher, Adam Schoenberg, Gunther Schuller, Peter Shin, Alyssa Weinberg, and Pamela Z. 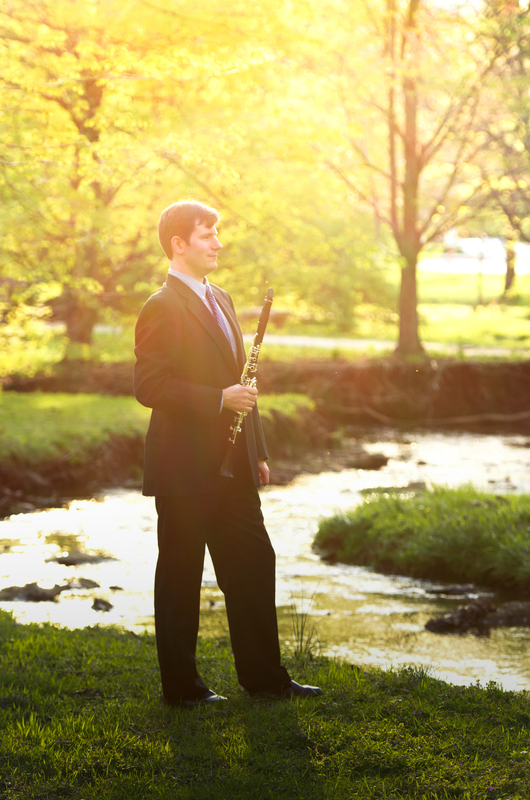 As a chamber musician, Benjamin has performed with principal members from the Berliner Philharmoniker, Chicago Symphony, Cleveland Orchestra, Houston Symphony, Tonhalle-Orchester Zürich, Eighth Blackbird, and at the Thy Kammermusik Festival in Denmark. In the summer of 2018 Benjamin will also premiere a new clarinet quintet by Alyssa Weinberg with the Enso String Quartet. Benjamin holds degrees from UCLA, USC, Rice University, Indiana University, and the Zürcher Hochschule der Künste. Benjamin is also a certified teacher of the Alexander Technique and a graduate of the Alexander Training Institute of Los Angeles.